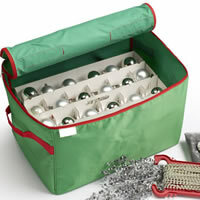 Store up to 30 baubles and other small Christmas decorations away when the festive season is over in our star patterned sturdy storage box. 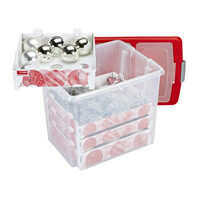 The box comes with two stiff cardboard divider trays which each holds 15 baubles. 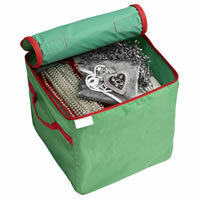 When not in use, the box folds flat for easy storage during the festive season. A great idea for space poor households where there is no room to store bulky plastic decoration storage boxes once the decorations are taken out of the loft and the tree is up. 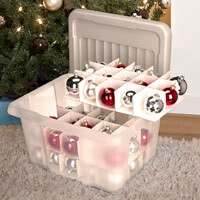 Decorations Storage Box - Large 45 Ltr.